The Saint Gregory Purgatorial Society is an opportunity for you to have your loved one(s) remembered at the monthly First Friday Mass at 8:00 a.m., throughout the year. Names enrolled for the year are also remembered at High Mass offered on All Souls Day (or during the month of November depending on the schedule of the Parish). 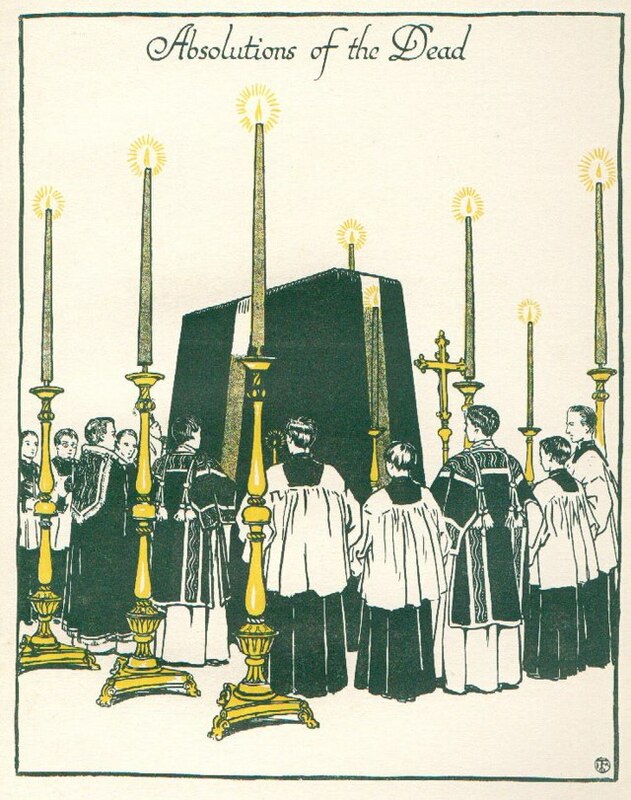 In 2018, the Purgatorial High Mass for those enrolled in the Society will be offered on Tuesday, November 13th at 7:00 p.m. The suggested annual donation for enrolling a deceased loved one is $35 for the first name, and $10 for each additional name. The list of those enrolled will be placed on the altar of the Church when the Mass is offered. Please enter the name of your loved one on this St Gregory Purgatorial Soc Form and place your donation (check or cash) in an envelope marked “St. Gregory Society” in the collection basket, or mail it to the St. Gregory Purgatorial Society, P. O. Box 891, New Haven, CT 06504. You may enroll individuals at any time during the year, and their names will be added to the list of remembrances. We will acknowledge your enrollees with a special certificate that will be mailed to you. Your sacrificial gift will assist the St. Gregory Society in its mission of offering the Traditional Latin Mass at St. Stanislaus Church including the music provided for the High Masses.